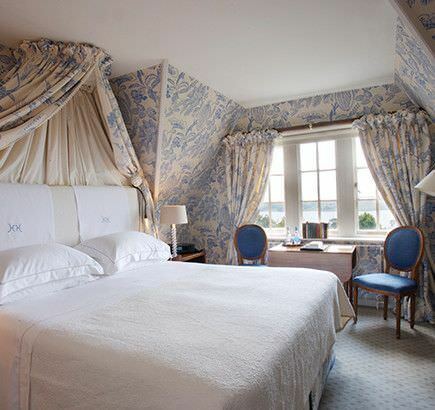 Every room and suite at Hambleton Hall has been designed to provide exceptional standards of comfort. All rooms have been sympathetically decorated in a distinctive style, and all are luxuriously furnished with comfortable furniture and rich fabrics. An experienced team aim to guarantee the highest level of personal service. While the hotel maintains all of the charm and elegance of days gone by, facilities, amenities and services remain at the leading-edge of what you would expect from a world-class hotel. 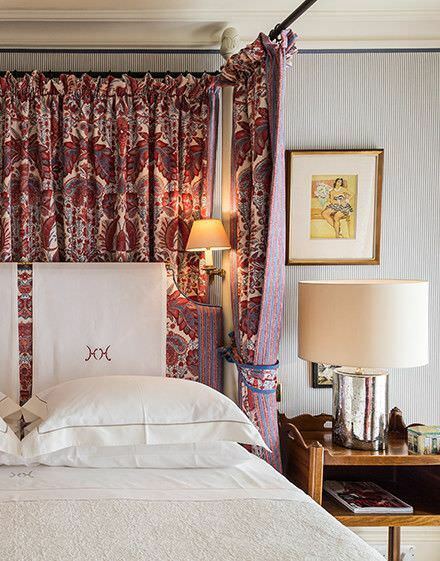 Choose to stay in one of Hambleton’s Master, Superior, Intermediate, or Standard rooms for your visit. 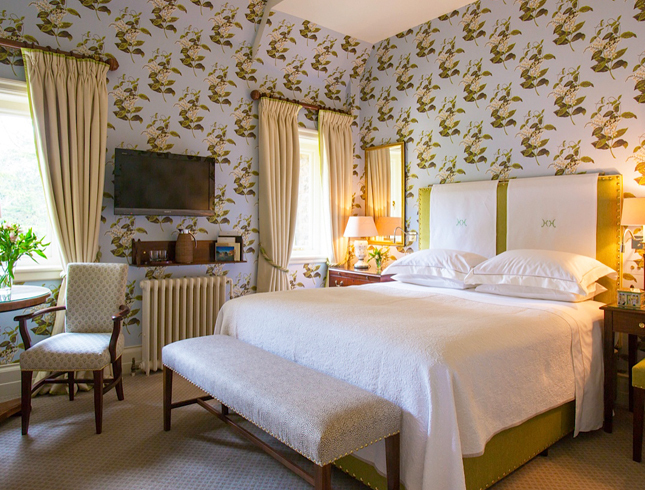 In addition to the rooms in the main house, the Croquet Suite is a cottage adjacent to the hotel. 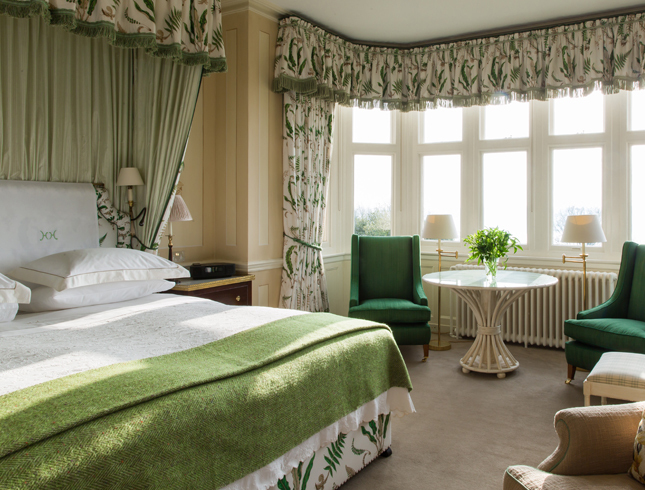 The suite consists of a large king-sized double bedroom and splendid en-suite marble bathroom with separate shower room, separate dressing room and a smaller double/twin-bedded room with a bathroom on the half landing. At ground floor level a comfortable fully equipped sitting room and a breakfast room are provided. The Croquet Suite has a private terrace where you may enjoy breakfast and dinner. I love seeing our regular guests particularly, one couple who return for the same week every year in the Croquet Suite. I remember all their favourite things. They like me to light the fire at 5 o'clock every day and make sure the telephone is on the left hand side of the bed. The hotel offers two rates during the year for high and low seasons. 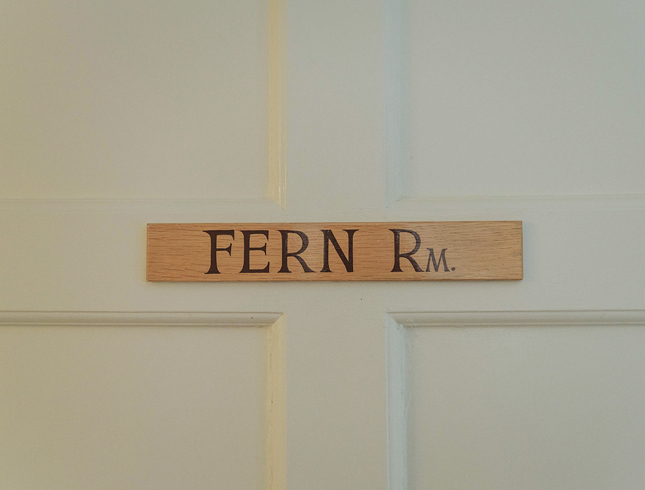 All guests receive a warm welcome, comfortable room with biscuits and water, plenty of magazines and books, plus a full Hambleton Hall breakfast and a newspaper in the morning. At weekends, there is a two-night minimum stay.